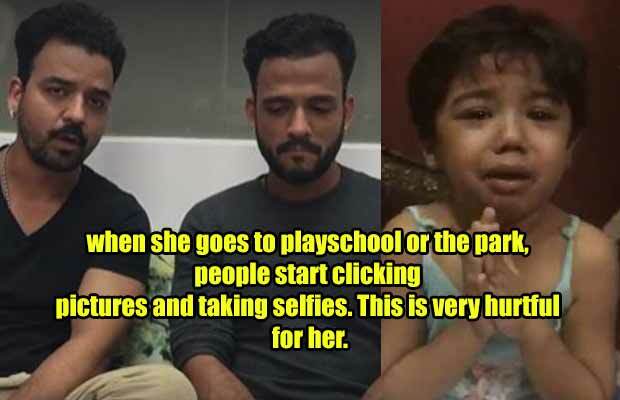 A few days ago, a video of a little girl crying had gone viral who later turned out to be the niece of singers Shaarib and Toshi Sabri! A few days ago a video was doing the round of social media which saw a little girl being cruelly treated while studying. It was even shared by cricketers like Virat Kohli and Yuvraj Singh. It was us who, after a lot of research, revealed that the little girl is the niece of the Bollywood singers Shaarib and Toshi Sabri. Now the duo has come up defending their sister, who in the video is treating the kid cruelly. They have posted the video on Toshi’s Facebook page. Previous articleEx-Bigg Boss Contestant Om Swami Gets Beaten Up By Mob, This Time For Speaking Against…. Next articleBarkha Bisht Sengupta Lashes Out At Gagan Kang’s Friends For Not Attending His Funeral!